May be inflamed and have secondary bacterial infection. Often misdiagnosed as a "Hot Spot". 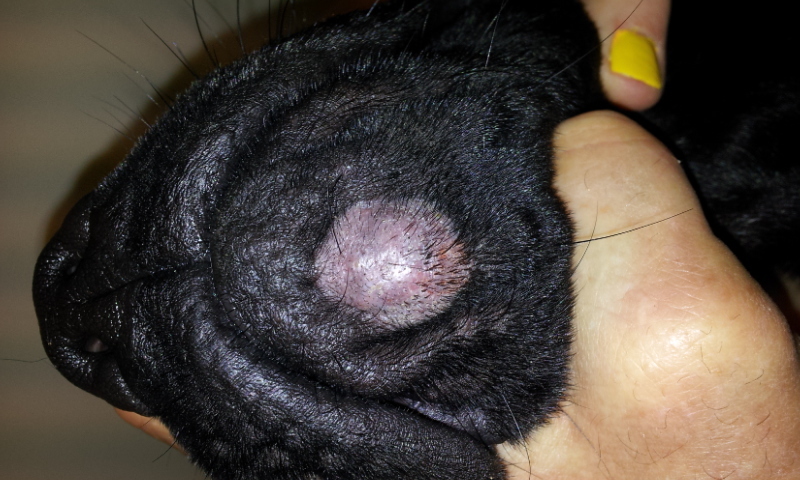 Differential diagnosis is tumour such as mast cell tumour or histiocytoma. Fine needle aspirate shows mixed inflammatory cells. Local and systemic anti-fungal treatment is usually highly successful.